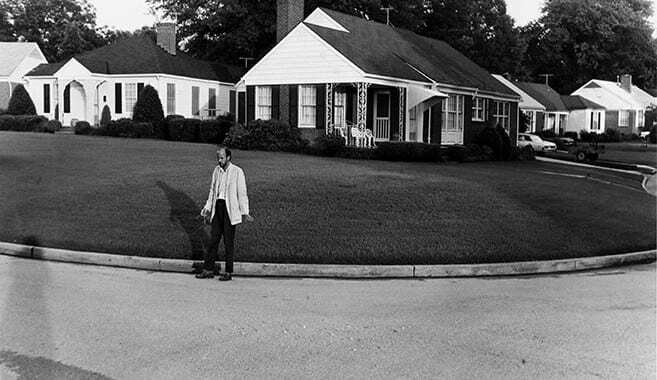 William Eggleston can’t actually separate himself from his “South”. The “South” is embedded into him so deeply that it has become something of a stamp or a mark. Without a deeper explanation, this statement itself could mean a few things. If you look at the body of his work on the whole, the majority of it (almost all) is set within the Southern environs of the US… places like Tennessee, Alabama, Georgia, Kentucky and Arkansas. Also, he was born in the “South” and still residing there. Surely, that makes him largely “Southern”. Additionally and importantly, you could look at his work as “Southern” from a standpoint of “feel”… the nuances, the point of view, the character. All of these things are accurate but it even goes deeper than that. 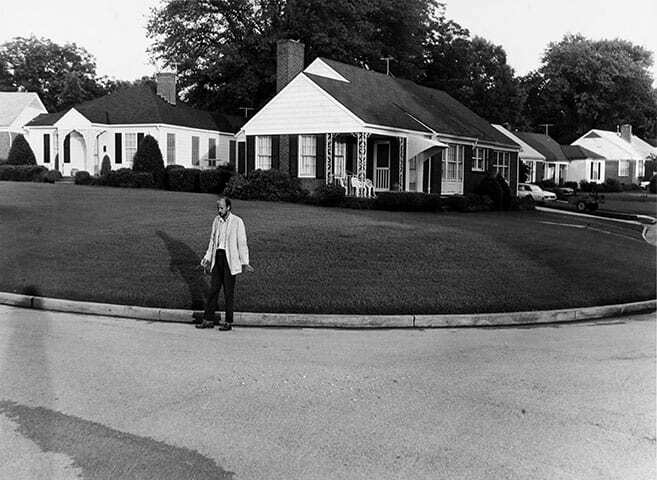 William Eggleston can’t actually separate himself from his “South”. The “South” is embedded into him so deeply that it has become something of a stamp or a mark. This embedding is so pronounced that this “Southern” is in a sense woven in to his pictures, whatever the subjects are. This is really what I mean by the statement, “William Eggleston is a ‘Southern’ Artist.” It simply means that he himself is the “Southern” in the phrase “Southern Artist”. 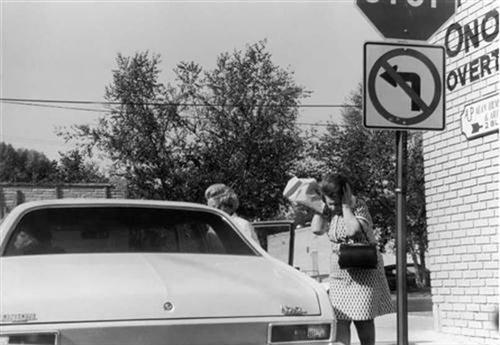 William Eggleston is a “color” photographer. Here there is also a bit of room for interpretation. Eggleston is linked so profoundly to color photography that the simple uttering of his last name immediately brings to mind the word “color” and even a visual on a certain type of color. His body of work to date and the significant recognition that he has received (deservedly so) comes exclusively from these color pictures. After all, his color pictures largely transformed the sensibilities of the art world and how it would relate to color photography, for good. The history of the “South” and what it is to be “Southern” cannot easily be separated from its horrific legacy of abject cruelty and malevolence against African Americans… of slavery, lynching, segregation, Jim Crow laws and lasting prejudice. In this sense then, to be a “Southern” artist is to have then at least a partial association with these things. When I say association, I do not mean that Eggleston is a believer and a proponent of these abhorrent actions and mindset. I am sure that he is not. I simply mean that by reflecting these environs in such an atmospherically complex and “pure” way, the artist is then also representing the ugliness and legacy of this place for all to see. One simply can’t separate “Southern” from this history. It is the massive elephant in the room at minimum and at maximum, it is much of what it is to be “Southern”. 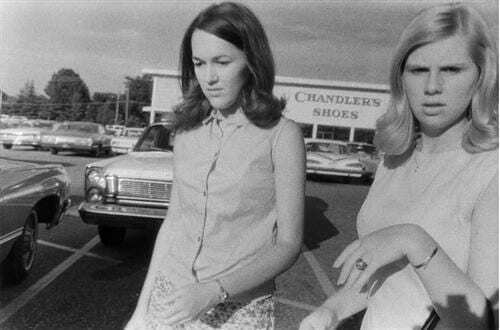 William Eggleston: Before Color is then surely a tour into this menace and heinous history and into the “Southern” legacy. In fact with the absence of color in this work, it is a significantly stronger embodiment of this history and of this malice. Although 90% of the book is absent of African American subjects, one can’t help but “feel” them in almost all of the pictures. 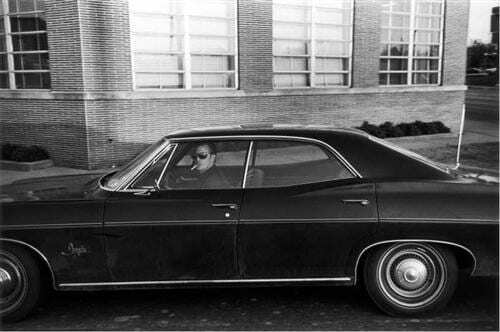 The photographs, mainly consisting of white Memphis residents in the 1950-60’s, and their homes, cars and places, are also then filled by a default and implication with blacks. There is also a palpable undertone and a foreshadowing of the socio-economic decay that will fall on to this city and much of the South. As you look at the pictures, you “see” what “they” have done and the legacy that has been created, what has and what will occur. The atmosphere is dreary and ugly, there is no “Southern charm”. In photographs of newly constructed houses for example, through Eggleston’s gaze, the places are already giving hints to coming decay. It is as if the legacy has become an omen and what has been reaped, for generations now, everyone will sow. Because of the “Eggleston color legacy”, one might assume that the absence of color diminishes the work and the strength of Eggleston as an artist. It does not. It is largely up to the viewer to disassociate themselves from their own deep mental ties to Eggleston and his “color”. Not an easy task, but entirely possible. I would not though say that the absence of “Southern” environs does not diminish Eggleston as an artist. It does. Eggleston as a “Southern artist” can’t and should not project his “South” on simply anywhere (Berlin, Moscow, Mexico City, etc). To be a “democratic” photographer (taking pictures of anything with equal merit) might suggest this approach relating also to geography but I would put forth that Eggleston is more accurately a “Southern Democratic Photographer”. There is no need then for him to show anything or anywhere else. He is the singular master of this domain. 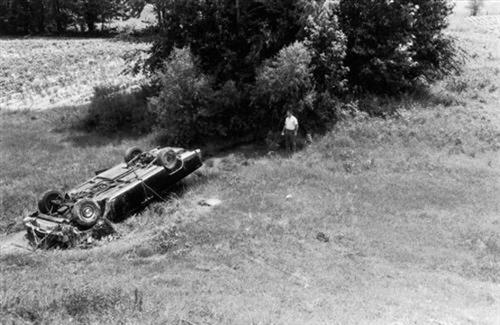 Bravo to Steidl and Eggleston – this is a tour de force of legacy, sinful deeds and menace. Eggleston here is at his earliest and surprisingly, at a near equal to him at his color best. 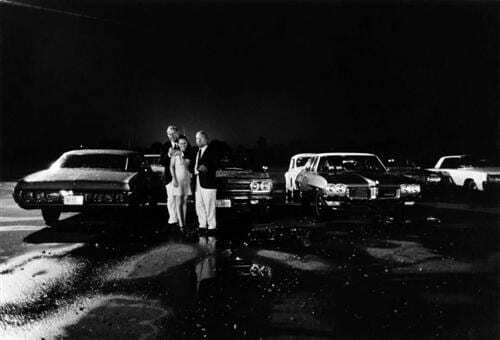 Posted in Masters, Reviews, Street Photography and tagged American Color, Book Review, Color Photography, Color Street Photography, Snapshot Aesthetic, Southern Artist, Steidl, William Eggleston.